Beatrice and Anand, along with the help of local film maker and faculty member at Rowan University College of Communication and Creative Arts, Jon Olshefski, conducted interviews with Beatrice’s parents and brother in Philadelphia, PA, and with Bravo Brother Paul Rorer and his wife Ann in Lansdale, PA.
Stephen Jauregui III (father) and Stephen Edward Jauregui (son) compared and contrasted their experiences as veterans of the conflicts in Vietnam and Iraq, respectively. 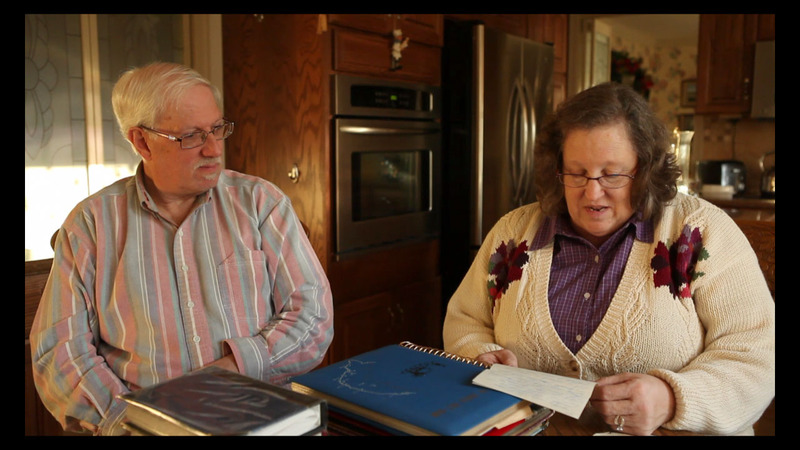 Paul and Ann Rorer kindly welcomed us into their home to look at some of the letters they exchanged while Paul was in Vietnam and Ann waited patiently for her fiance back in Pennsylvania. domain archive . . Hochoridipou . Your support can help make American Communion: Healing Wounds a reality. Copyright © 2019 Light Daughter Productions. Website designers sourced for FabThemes.com. Distributed by topwpthemes.com.